What Is The Doctrine of Soul Sleep? Is It Biblical? People have differing views on what happens after they die. Sadly, many people also have no problem with killing someone because they disagree with their view about what will happen after they are dead. History has proven that Christians have often been the victims of this wickedness. Sadly, a large number of them were victims at the hands of others who called themselves Christians. One doctrine that continues to create debate in Christian circles is the doctrine of soul sleep. For this reason, we will ask and answer what is the doctrine of soul sleep and is it Biblical? Soul sleep is the concept that when someone dies, their soul goes to sleep. Where did the doctrine of soul sleep originate? The concept of soul sleep became popular with some Christians in the 1830s. It came from a doctrine taught by Arnobius of Sicca in a book called Against the Pagans that was written about 305 A.D. Arnobius taught that souls could not exist without a body unless God divinely preserved the soul for eternity. Likewise, he taught that the souls of wicked (unbelievers) go to the fires of Hell (Gehenna) where they are ultimately consumed or annihilated. In 1841, a Methodist preacher named George Storrs wrote a tract and published six sermons on this concept of annihilationism based on a tract he read that was written by a Baptist deacon by the name of Henry Grew in 1837. At the same time, there was a movement started by a man named William Miller that tried to predict the second coming of Christ. They did this by assigning dates to certain Biblical prophesies and predicted Jesus would return in the fall of 1844. Storrs was drawn to the group, known as the Millerites, and became a preacher in the movement. Once, it was shown that the Second Coming or Advent prediction failed, the group split up. Out of that group came the 7th Day Adventists and Jehovah’s Witnesses. William Miller did not embrace this teaching, however both groups had publications and leaders that originated from the original Millerite movement that embraced the idea of annihilation and soul sleep. With the failed predictive prophesies, they adopted instead a doctrine that an “investigative judgment” started in 1844. This taught that all who had died were waiting to be judged whether or not they would go to heaven or be preserved until the end times to be destroyed by fire. The idea of someone going to heaven at the moment of death was replaced by the idea that their souls were asleep until it was their turn for judgment and that there is no Hell or lake of fire. Unfortunately, the 1844 “Great Disappointment,” as it was known to those who sold everything and waited in vain on their rooftops for Christ’s return, was replaced by a greater disappointment when the investigative judgment took a little longer than anticipated. Today, this doctrine is still taught as doctrine number 26 of the Seventh Day Adventist’s 28 fundamental beliefs publication (1). It is also taught as the doctrine of the condition of the dead by Jehovah’s Witnesses (2) (3). This verse tells us that the Word of God, like a cutting sword, can separate the soul and spirit from the joints and marrow (body). This is evidenced by Revelation 6:9-10 and Revelation 20:4 where we see the souls of those who were martyred for their faith, crying out God’s judgment against those who killed them. Some would say that this was after the resurrection, so they did have bodies. However, this does not account for the time when these souls were brought with Jesus from heaven to be reunited with their perfected immortal bodies that were resurrected (1 Thessalonians 4:13-17). Those asleep in Christ are those who had died as believers and were in the presence of Christ in Heaven. At the moment of the resurrection, they will come with Him from Heaven to be reunited with their new celestial bodies (1 Corinthians 15:39-57). The idea of being in Heaven after death was realized by both Stephen and Paul. Stephen spoke of it while suffering persecution at the hands of local Jews. The very mentioning of this infuriated the Jews so much they killed him (Acts 7:54-60). During this event he had a clear vision of Jesus standing on the right hand of God. As the Jews stoned him, just before he died, he called upon God, saying, “Lord Jesus, receive my Spirit.” It is clear from his words that he knew he would be with Christ when he died despite his body being dead. Paul reinforced this in 2 Corinthians 5 while explaining that we have earthly bodies (tabernacles) and are awaiting our heavenly bodies. He speaks of our anticipation with confidence that while we are at home in our earthly body, we are absent from the Lord, but would rather be absent from the body and present with the Lord (2 Corinthians 5:5-8). As believers, whether we are in our bodies on earth or in heaven, we are part of God’s family (Galatians 3:26). Paul made specific mention of this in Ephesians 3:14-15 when he described praying on his “knees unto the Father of our Lord Jesus Christ of whom the whole family in HEAVEN AND EARTH is named” (emphasis added). The family in heaven and earth that have the name of Jesus is believers in heaven and earth. This is also seen in Ephesians 1:9-10 when referring to the reunion that will take place at the resurrection between those in heaven and on earth. If there are no souls awake in heaven, then we would have to wonder where Enoch and Elijah went when God took them (Genesis 5:24; 2 Kings 2:11). Likewise, Lazarus’ experience of being carried by the angels to Abraham’s bosom in Paradise and the rich man’s torment in the flames of hell would be a lie that Jesus told to illustrate a false doctrine (Luke 16:19-31). If there are no souls alive after death, then Jesus lied to the repentant thief that he would be with Him in Paradise that day (Luke 24:43). Sadly, those who teach that souls do not exist after death reposition punctuation marks and teach verses out of context to redefine the clear teaching of these verses. The Bible teaches there is a literal hell that will deliver up the unjust dead at the Great White Throne Judgment and they will be thrown in the lake of fire to be tormented forever with the Devil and his angels (Revelation 14:9-11; Revelation 19:19-21; Revelation 20; Revelation 21:8). Likewise, death and hell will be then thrown into the lake of fire (Revelation 20:14) in anticipation of the new heaven and the new earth (Revelation 21:1-5). Soul sleep is the concept that when someone dies, their soul goes to sleep. It is based on a doctrine that teaches that the soul does not exist apart from the body and is annihilated with the destruction of the body. 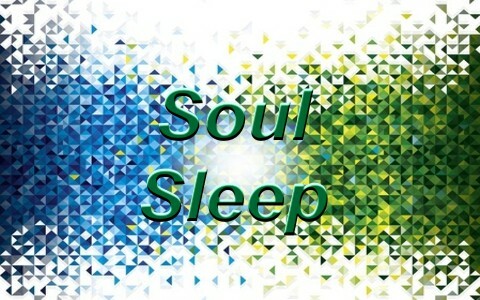 Soul sleep is taught by groups that originated as part of the Millerite movement of the 1840’s. Their teaching of soul sleep contradicts Scripture, making it not Biblical. this is a really contentious issue becoz even if i agree with most of what youve just said, how do you explain what solomon wrote about the dead-that they know nothing,how can smone be awake and know nothing.Jesus also said that Lazarus was asleep thereby equating death to sleep.So who is right,we may all be right in our own way. Thanks for the questions Deno. There are several things to keep in mind when answering these questions. First, the term sleep is often used to describe the physical body that is no longer living. In 1 Thessalonians 4:14 it says: “For if we believe that Jesus died and rose again, even so them also which sleep in Jesus will God bring with him.” If these people are asleep with no consciousness, then how can they be with Christ to be brought “with Him” to be reunited with their perfected bodies? The answer is that their “bodies” are asleep, while they are separated from their soul and Spirit, which is alive with Him (Hebrews 4:12). Second, the term living and dead are used to describe believers and non-believers (Matthew 22:32; Mark 12:27). Sadly, many use Ecclesiastes 9:5 to support the concept of soul sleep by totally ignoring the context of the chapter. The chapter starts by making a comparison of the believers with the unbelievers Ecclesiastes 9:1-5. This passage specifically is speaking in the context of eternity as well. Although both physically die, the believer, AKA the living, has an eternal hope and reward that never fades. The unbeliever, AKA the dead, has only this life, of which there is no eternal reward or hope. He knows nothing of eternity or the rewards of Heaven (Ecclesiastes (9:5-10). Another example of this is seen when the women went to the grave of Jesus to anoint his dead body and to their shock discovered that He was not there. Instead, they saw two angels that said to them, “Why seek ye the living among the dead?” They continued by telling the women, “He is not here, but is risen.” The angels were telling the women more than just that Jesus had risen. They were telling the women that Jesus was living and risen, while the others (unbelievers) remaining in the cemetery were dead and still in the graves. We know this because in Matthew 27:52-53 when Jesus died and rose again, the graves containing the saints (believers) were opened: “… And many bodies of the saints which slept arose and came out of the graves after his resurrection, and went into the holy city, and appeared unto many.” We know that these saints were in paradise while their bodies were “asleep” in the graves waiting to be taken to Heaven with the Christ (Luke 16:19-31; Luke 23:43; Ephesians 4:7-10; 1 Peter 3:18-20). There are so many other examples, but I hope these provide an example of how the term sleep can mean differing things depending on the context of the Scriptures where they are used and are not subject to interpretation (2 Peter 1:20-21). Blessings! 1 Thessalonians 4:16 says that the dead in Christ will rise first. If we go to Heaven right after death, then who is rising according to this verse? Above you talked about our “bodies” sleeping waiting to be taken to heaven. If we receive new bodies in Heaven, then why would we need our old bodies? Not to step in front of Dr. Williams, but to answer your questions, the “who is rising” are our dead physical bodies, our souls being with Jesus as He returns from heaven. Look at 1 Th 3:13. There it describes Jesus returning from heaven with “ALL of His saints”. If our souls are asleep in the grave, then how could He return with ALL. Our physical dead bodies will be changed in the twinkling of an eye, as Scripture describes, upon our resurrection(this does not happen in heaven). These new bodies will be reunited with our souls which return with Jesus. The Bible says “there we shall ever be with the Lord”, our new glorified bodies, united with our souls. Also, in Ecclesiastes 12: 6-7, it talks about the silver cord parting, and how the dust returns to the earth, and the spirit (the mind, or consciousness) returning to God who gave it. When people have NDE’s, they usually talk about seeing a bright light. And, God is described as the light of the world. Hi , What do we do while in Heaven until the resurrection on Jesus return ? Great question. I don’t know but I believe we will be learning…and perhaps training for the kingdom. I know what we will be doing in heaven until the resurrection on Jesus return ? Hello. So from the concluding remarks, as I understand, the soul is awake whilst separate from the body, as referenced by Lazarus at Al. Where then is the spirit, which returns to God, as preached by Oliver B. Greene? Is the spirit the life Gid breathed into us, and the soul our consciousness? Thank you. Hello Mr. Majcher. Jesus told the thief on the cross, “Today, you will be with Me in Paradise,” so the thief’s dead body remained on the cross, but the thief’s spirit or soul was with Christ in Paradise that very same day, as Jesus promised. Paul said to be absent from the body is to be present with the Lord. I believe the soul is like a spirit, without physical substance, and the body and soul will be joined together after Christ returns. Thank you sir. Jesus on the cross said this day, I am saying you will be with me in paradise. He did not say when. Also when we are all judged some to heave and some to hell how can that be if some are already in heaven when they die. That makes no sense at all. Also, if we get new bodies in heaven then why does it state the our bodies come out of the grave if they are not going to be used. Hello Mr. Saltis. Jesus actually did say “today” you will be with Me in Paradise (Luke 23:43) so read it yourself. It said “Today” meaning the theif would be with Jesus immediately after death. Please read this for your answer. It will make more sense then.